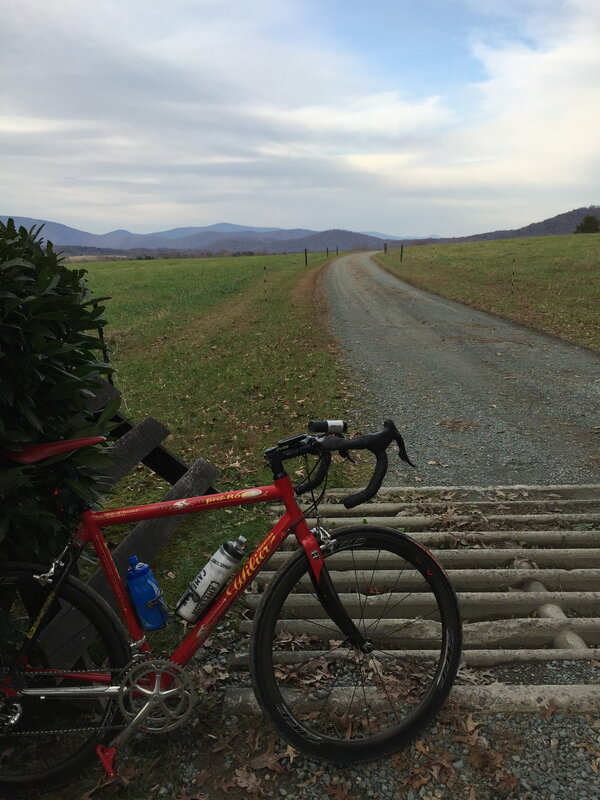 Nova Eroica Virginia ride today. Thought about posting this in the "where did you ride today?" thread but thought it might get some appreciation here. 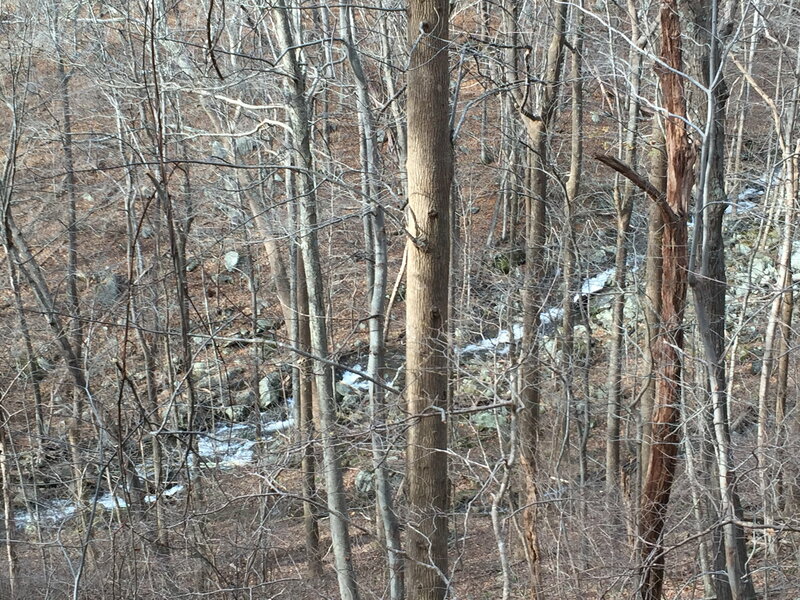 I recently rode a new route which ended on the slopes of Shenandoah NP. 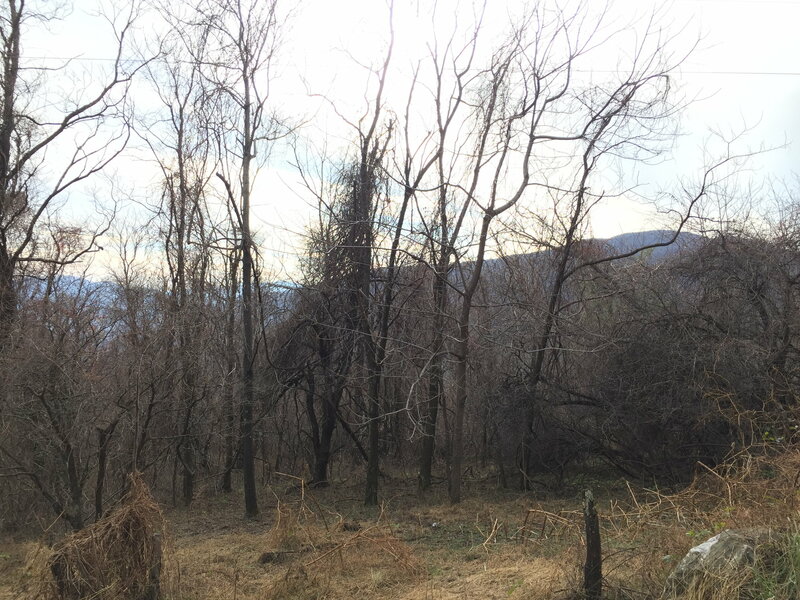 I'd noticed a couple of gravel roads branching off on that ride and a map consultation showed that with some courage I could use a road called Simmons Gap to connect this route to another one of my paved routes. I got my Wilier which is equipped with Vittoria Open Pavé tires but, to my later chagrin, also sporting a 53/39 crankset. I knew some climbing would be involved but boy howdy! This was a 38 mile ride with a total of about 11 miles of dirt/gravel. 2875 feet of climbing but half of it was done in about a 6 mile gravel stretch. There was 3 miles of about 9 -10% grade. The road forked and since I had left my carefully drawn map back in the car, I took a wrong turn which led to a flood road from the stream pictured above. There were gateposts for the national park so I turned around and went the other way at the fork getting ready for some gravel descent but alas was quickly faced with a pitch of about 20%. Got up a little ways, but in true Eroica fashion walked about a quarter mile. After a short descent there was another 18% pitch and I actually let out an audible whimper but managed to stay on the bike and muscle over it. This was followed by several miles of white knuckle steep descent and I actually contemplated which would be better, mid 2000's Campy brakes on carbon wheels (today's set up) or mid 80's Record brakes on Mavic G40's. Probably a wash.
At any rate, if any Virginians out there want to get a taste of what the Cypress Ranch climb and descent are like, this is a good approximation, although I think this might be a little harder. Drop me a line and I'd be happy to show you the route. BTW I know the bike isn't vintage but I wore my wool Fausto Coppi Ursus jersey; so that counts.